CHARLESTOWN NEVIS (September 10, 2010) — In an effort to raise the island’s aesthetic appeal, the Nevis Island Administration’s [NIA] Ministry of Health has reassigned employees in the Environmental Work Programme. Minister Daniel told the Department of Information that since the start of the programme in 2006 there had been an increase in job opportunities and advances in healthcare. “This programme is in two parts. 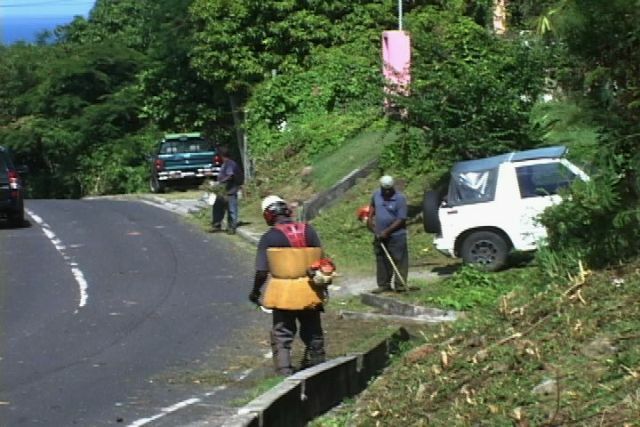 In one way it creates employment for a number of people who would otherwise be unemployed and secondly, it gives the government the opportunity to connect with the Ministry of Health in the promotion of health and wellness and in the prevention of airborne diseases because we know that if we keep the island clean then the country’s people will be healthy,” he explained. Minister Daniel also reaffirmed the NIA’s commitment to beautifying the island and ensuring that residents and visitors are healthy. “This government is mindful of its responsibility to the public and this is one way of demonstrating that we are serious about environmental protection and about environmental health,” he said.